ONIKO offers the systems on a production as a traditional hypochlorite so mixed oksidantov directly in place of their consumption. Both technologies provide enhanceable safety at the necessary level of remaining chlorine. ONIKO offers the progressive, economic advantageous methods of disinfection of water for pools and fountains, akvaparkov, cottages, for a tapwater proper the hardest sanitary norms. Methods for cleaning of sewages. ONIKO offers decision on cleaning of water mixed oksidantami: providing of pleasant taste and smell of water, mikroflokulyaciya, problem of maintenance of level of remaining chlorine, delete of biofilm. ONIKO Company offers to your attention equipment for water leak detection produced by GUTERMANN Company (Germany). GUTERMANN is a world leader in acoustic leak detection technology. With more than 1,500 installations in hundreds of U.S. communities and over 30 countries, MIOX is committed to providing customers with the safest water in the world. Our award-winning on-site generation technology is safely disinfecting more than 6.5 billion gallons of water per day, serving millions of people worldwide. MIOX is used for potable water, wastewater and reuse, commercial swimming pools, cooling towers, food processing, the beverage industry, and other commercial and industrial applications. ONIKO Company offers to your attention equipment for water leak detection produced by GUTERMANN Company. GUTERMANN is a world leader in acoustic leak detection technology. 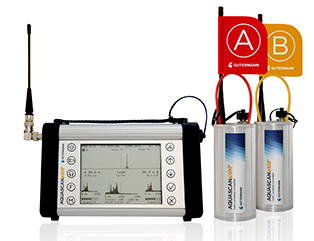 Our product range covers all areas of traditional acoustic leak detection. Most recently, thanks to our Permanent Network Monitoring technologies, we have established ourselves as the leaders of Intelligent Water Loss Management. On Youtube: movie 1, movie 2, movie 3.